When you have an unforseen plumbing problem our team at Plumbers Harolds Cross are always available to help you. 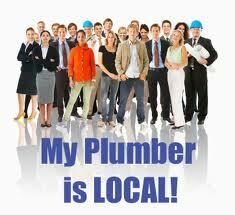 Our staff specialize in domestic and commercial plumbing services in D6 and the surrounding areas. Our Harolds Cross plumbing team have have built a reputation for customer satisfaction. We provide expert domestic plumbing knowledge and competitive pricing. Our customers know that when we start a plumbing job, we will ensure that the job is finished to the highest standards. Our team at Plumbers Harolds Cross provide the following services. • Installation or removal of hot or cold water pipes. • Leak repairs, simple leaks to burst pipes. • A 24/7-365 emergency plumbers Harolds Cross service. • Drainage works including repairs, installation and removal of all waste water pipes. • Unblocking pipes and drains using rods and jet flushing. • Gas safe plumbing: All of our Harolds Cross plumbers are registered gas safe. • Boiler repair, service and installations. Our fully qualified R.G.I. registered team, can complete all work on your boiler, quickly, efficiently and safely. • Boiler disconnection. We have the knowledge and expertise to safely remove your old gas boiler. • All central heating work. At plumber Harolds Cross we can provide tank installation, pump repair or replacement, radiator power flushing and repair or replace heating controls. • Underfloor heating. Plumbers Harolds Cross can help you to heat your property by using modern underfloor heating. • Tap replacement, bathroom, kitchen or outside taps installed. • Wet rooms. All pipes fitted and installed so your wet room functions properly. • Plumbing of whole houses. Our team can plumb your entire house. This is ideal for renovations or new builds. Our team use our extensive know how to deliver outstanding results and quick service no matter how large or small the job. For an emergency plumber in Harolds Cross, Call us Today on 016874850. Our rapid response time of under 60 minutes for all emergency plumbing services, means that you won’t be left stranded when you need help urgently.